The "Whatever's in Your Fridge Cooking Game"! What am I up to? Subscribe Now to find out! No ideas for dinner, and you are staring blankly at the insides of your fridge, wasting precious time looking for what you can eat (not to mention wasting expensive electricity that is running with the fridge door open while you play a staring game with the fridge)? Well, you're not alone. There is a solution to that, though, one that involves a little bit of creativity, a resourceful attitude and a desperately hungry tummy. You can call it what you like, but I call it the "Whatever's in Your Fridge Cooking Game"! It's a very simple game that allows you to stop worrying about what dishes you can cook and just go with the flow with what you can find in your fridge. Not only does it use up all your leftovers as well as bits and pieces of food that won't make a meal on their own, it helps you create unimaginable dishes that you probably wouldn't have thought of if you simply followed recipes for specific dishes. Got a piece of cheese leftover? Or the last of a can of tomato sauce perhaps? Anything you find could have the potential of becoming a wholesome, delicious and satisfying meal. Watch the video below to get a feel for how the "game" runs. It's really fun, and you should have a go at it too. For the salad, I blanched the beans in boiling water, dry-fried the pecan nuts to release its flavour and cubed the tofu. Then, I combined the pesto sauce with a bit of cheese, black pepper, paprika and a bit of olive oil in a pan and heated it till it is all combined. The last thing to do for the salad was to simply pour the sauce on top and toss it before eating. For the noodles, I boiled the noodles and set them aside. I then heated the tomato sauce in a pan and added the noodles, coating it all around to get a spaghetti-like dish. Well, that was MY game. Let me know how YOUR game turns out in the COMMENTS section below. I'd love to see what awesome dishes you can come up with through the "Whatever's in Your Fridge Cooking Game". Pocari Sweat is a non-carbonated isotonic drink (also called an ion supply or rehydration drink) produced by Otsuka Pharmaceutical Co., Ltd. in Japan and is intended to be consumed whenever we “sweat”. Usually used as a sports drink, you may be surprised at how often people consume this beverage, even when they are not exercising. Well, they did say “sweat” and not “exercise”, after all. 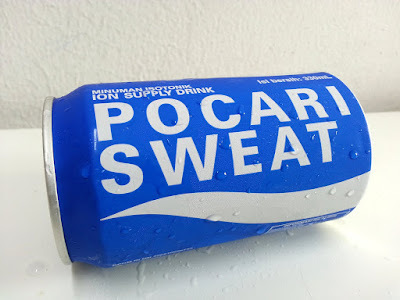 Even the Pocari Sweat can was sweating! 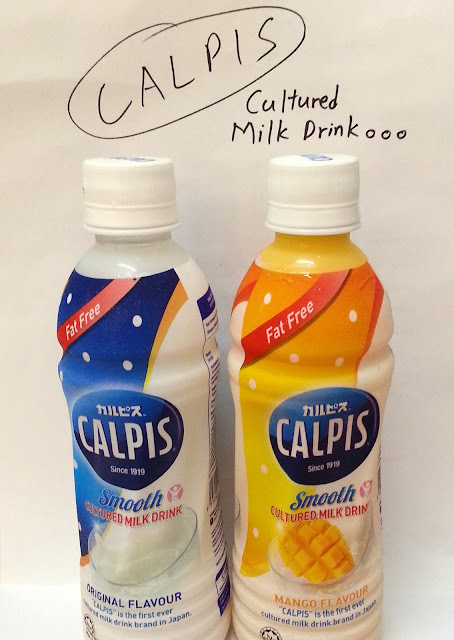 Calpis: Is it any good? Hear the advert a few more times and you’ll realise that it’s actually promoting a new drink that is claimed as ‘Japan’s first cultured milk drink’. Well, new where I’m from, anyway. Dr Pepper - Cough syrup? Pepper-flavoured? What is this thing? 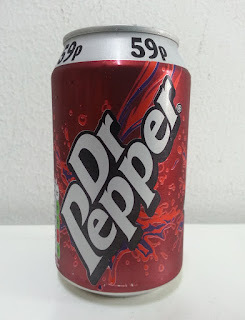 Dr Pepper smells like...cough syrup?! What? Well, it definitely had a cherry taste, red cherry anyway, not those deep dark cherry types. Well, that explains the cough syrup perception I received upon snapping open the can (since cherry flavour is usually added to cough syrup). If you think along the same lines, it's called "Dr Pepper", right? Anyway, the bottom line is that they shouldn't have put cherry flavour into practically every cough syrup brand in the market because now, the correlation is permanent in our minds!